As PartPicker was so helpful during the construction of my PC I wanted to give something back. I'll talk about the build, the parts, and the performance. 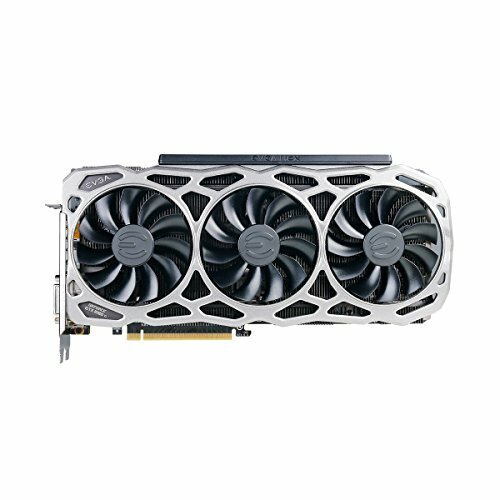 I haven't built a PC in over 10 years as I've been living in mac world, however I wanted to get back into PC gaming and I have been doing quite a bit of deep learning, all of which were difficult on the mac. The monitor listed in the part list isn't correct, it's the 69-P that I have, but PP doesn't seem to list that. First the parts, everything turned and nearly everything worked. The Scythe Mugen heat sink was damaged during transit, some of the fins were bent. I straightened them with a screw driver as best I could. The fan was ordered from Amazon and sent from Germany, packaging could have been better. There's a few things missing from the list, like arctic silver and some thermal paste removal pads and chemicals. So one Saturday morning with all the bits I started to build. Before looking at the case I wanted to do a post test. I assembled all the parts on the motherboard (not seated in the case). This took me longer than I imagined, largely due to the fear of fitting such a massive heat sink. As the Ryzen chip doesn't have an GPU built in I needed to attach the GPU for a valid post. Seating the cpu whilst nerve racking due to the pins being on the CPU, was pretty easy. Fitting the ram was also easy, not problems there. The motherboard is fairly well laid out, I will talk about some of the issues later. Fitting the AM4 bracket supplied with the Mugen was really easy. However my first mistake. after applying the cpu paste I fitted the cpu cooler, however it wasn't until it was fitted I noticed I had not removed the protective plastic on the cooler (arrrrggggh). Once removed, I cleaned the CPU, removed the plastic and refitted the cooler. With everything in place I attached the PSU and did the POST test. The motherboard does not have an on/off button for testing, this would have been nice. After holding my breath, everything worked. With everything working I removed the GPU, but kept everything else in place (cpu, cooler, memory, hdd). Moving on to the case. The case is a dream to work with, everything is in exactly the right place. All the cable management is hidden around the back, with plenty of grommets to push wires through. The PSU won the award for best packaging, it was almost Apple level packaging. Only thing I would have like to see with the case is the mounting screws in position for a default ATX layout. Putting everything inside the case really didn't take any time at all. I want to talk a little about comparability. One of the most difficult parts of the build was finding out reliable information about what memory with will work with Ryzen, and your chosen motherboard. The QVLs are there, but out of date. I wanted 32gb of ram as I run a lot of things when developing. 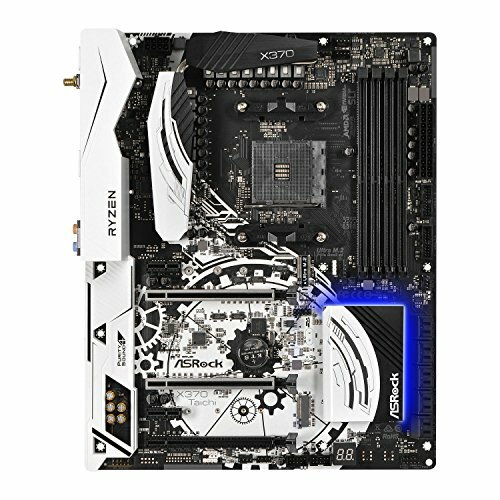 According to ASRock, 32gb at 3200hz is not supported. I found a lot of people on the internet who had success with G.Skill 3200hz ram. So I got that. When poking around the BIOS the ram was running at 2100hz. I left this and installed Windows. My other concern was the M.2 drive, the QVL only supported 512gb, yet I wanted 1TB. I can confirm the HDD works and had no problems (and is crazy fast). The motherboard came flashed with version 2.20 of the BIOS. This version of the BIOS is not good enough to run the memory at 3200hz. All attempts failed. After flashing to 3.20 the memory ran at 3200 without any problems. For those interesting in the monitor, it's fantastic, would it be nice to have G-Sync, yeah maybe, however the GPU is able to power the Witcher in 4k at 60fps most of the time, with no visible tearing. Colour reproduction is great, viewing angles are fine. Note to LG, don't put a sticker on the screen when you ship the monitor, as I now have a glue smear at the top left of the screen! One note about Windows. The 4K support in Windows is bad, even after the creators update. There are so many things (including Microsoft dialogs that are part of the OS), which are at incorrect DPI and hence blurry. I have not tried overclocking the CPU, maybe I will in time - I did change the power profile in windows from balanced to performance, as Windows enjoyed parking the cpus. I am using the CUDA drivers which aren't quite the latest and 3D marks reports as not approved (?!?). Which leads me on to the performance when training models. Took me a little while to get things set up under Windows. However as my test bed I've been using the Juypter notebook from lesson 2 of the Fast.AI course. The lesson involves fitting a vgg (convolution image network) over 23,000 images of cats and dogs. Previously I've been using a rented box from Paperspace which was pretty good, but I wanted my own machine. The performance of the 1080ti is impressive, it fitted the model in about 380 seconds. The paperspace machine used a Quadro P5000, the 1080ti does beat it, however the Quadro has much more ram, and hence can probably win if you tweak batch sizes. Finally I'd like to mention the noise level of the whole system. It's pretty quite, the motherboard has a fan profile for silent, after setting that the system became very quite. As soon as the fans go below 600 rpm it's very hard to hear. I have a problem with the rear fan as it doesn't seem to respond to the profile, it is stuck at 1200rpm. I will try a different fan header, although note, that the fan header I need to switch it to hard to access due to the GPU, so I'm not sure if this will be viable. Under load the gpu fans spin up, however they operate at a low frequency and can be heard, but it's really not a thing (and I am comparing this to my Mac that hardly makes any noise). I have not noticed any coil whine. Things that currently don't work, the mortherboard wifi is broken. I contacted ASRock and I have to say their support was excellent. They think that the wifi module has become disconnected in transit, I can fix this myself, but it means taking everything apart and I can't be arsed. Also as I mentioned above the third fan header doesn't seem to respond to the fan profile. I'm really pleased with performance. I was concerned about stability, however I'm now 3 weeks in and the whole system is rock solid. Ryzen is a great platform. Solid CPU, great for development, brilliant for games and more importantly future proof for games. Slightly disappointed, was damaged upon arrival, the fins were bent. Fan not as quiet as the internet claim, however below 600rpm does become what I would consider quiet. In terms of cooling, it's good. So far not seen the cpu head north of 65 degrees. Very good solid motherboard, decent layout, runs memory at 3200mhz with out a problem. Things missing, would be nice to have an IO block for the powerbutton and hdd light and so forth as they're a fiddle to fit. Wifi is broken, apparently the wifi module can become attached during transit. I can't be bothered to take the rig apart to fix this. A personal bug bear, during sleep mode it flashes the power LED and there is no way to turn this off. Apparently this is quite common among motherboards. I have disconnected the power LED. I run this memory with a ASRock Taichi and AMD 1800x. After a BIOS flash the memory runs at a solid 3200mhz. This is expensive, however it fundamentally changes the speed of everything you do. Windows does not have time to display the loading screen It's insanely fast, if you take the plunge you will not be disappointed. Oh one tip. I noticed extracting zip files and installers were slow, to the point that I thought there was a problem with the drive. It was down to Windows Defender, I turned it off and unzipping a 60mb zip went from 40 seconds to 2 seconds. This card is brilliant. Fast and quiet. In Windows the fans don't run. During gaming the fans kick in, however the fans seem to run a low frequency and the noise is pretty low. I can run the Witcher 3 in 4k at 60fps, and it looks great. This case is an absolute joy to build with. Everything is in the correct place. I love it. Cable management is so easy. Air flow is great. Aesthetically maybe not the prettiest, but it's under my desk and I can't see it anyhow. IMO, the Scythe can be swapped for a be quiet! Dark Rock Pro 3. I have the Define Mini C which is the same width as the Define C and the Dark Rock Pro 3 fits inside no problem. I must say, I am a bit scared purchasing the Asrock motherboard or any other motherboard because of ram not running at their highest speeds. However, seeing as your post is only 10 days old as of writing this comment, I am a bit relieved. So all you did was update the bios and it was easy to run the ram at 3200mhz? I've spent a lot of days researching, looking at forums and youtube videos. I kinda need assurance haha. I can see the RAM you used is CAS 14; will only CAS 14 memory overclock successfully? I'm planning on using a 16gb kit of corsair vengeance lpx at 16-18-18-36. Researching ram compatibility was the most complex part of the build. There was so much out of date information out there. Yep all I did was update the BIOS. I think the key BIOS update for any Ryzen motherboard is the agesa update form AMD. After that BIOS update I selected 3200mhz and it worked. I haven't tried further overclocks. I'll see if I can add a BIOS screen shot and a CPU-Z screen shot, so you can see what I did. I can't speak for the ram you are thinking of using, I know there is a 16gb of gskill ram that should work at 3200mhz. about how quiet is the cpu cooler and what temps are you getting? Once I set the power profile to silent the cpu cooler runs below 500 rpm and can't be heard. At that speed I get an idle temp of 37 degrees. If I play quake champions or the witcher temps go up to 60-65. I can't hear the cpu fan at this point as the fans from the gpu kick in. They're not very loud but are louder than the cpu fan.